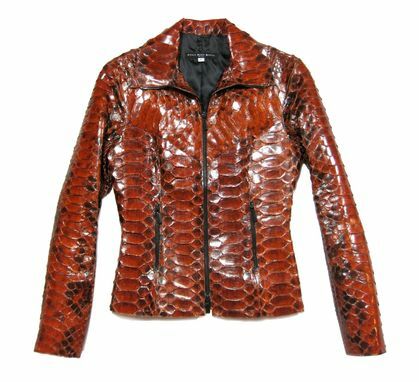 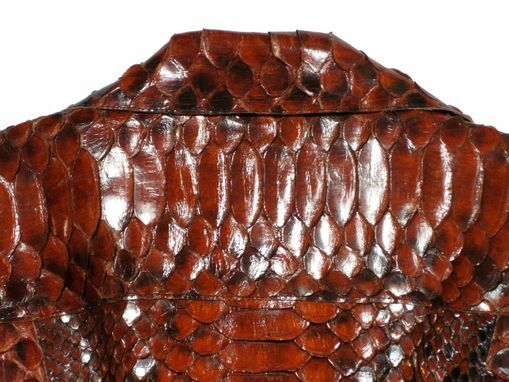 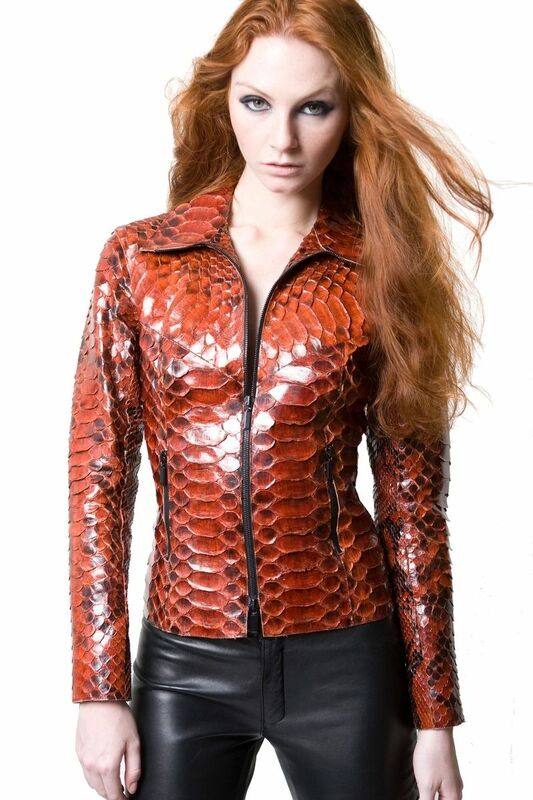 This is an example of a custom made jacket in a unique large scaled python. 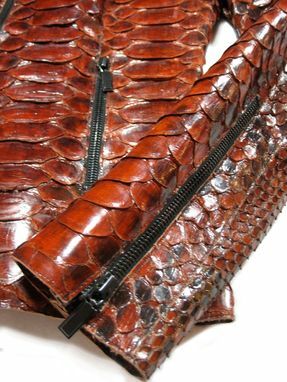 These skins are sourced in Indonesia and couture finished, to order - in upstate NY. 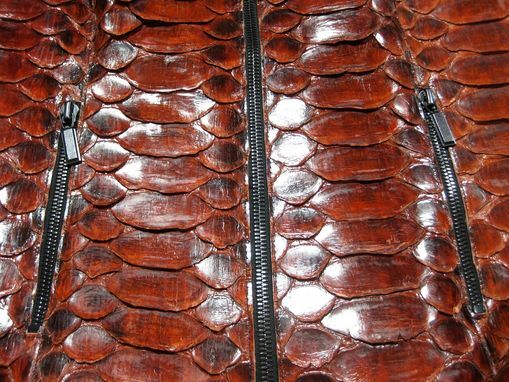 Each garment is then individually custom-made, from the pattern, to multiple toile fittings and then carefully hand cut & crafted in our NYC studios.